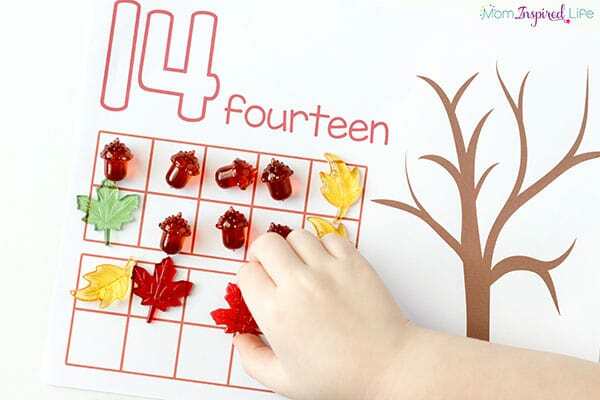 These fall tree counting mats are a hands-on way for children to learn numbers and practice counting numbers 1-20. 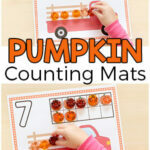 They are perfect for fall math centers. I love planning activities for fall. 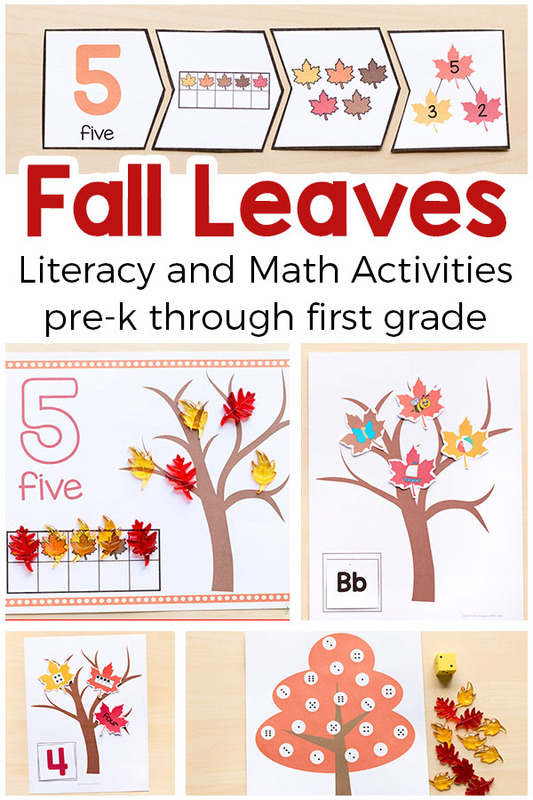 There are so many fun ways to integrate the fall theme into the activities we would normally do. 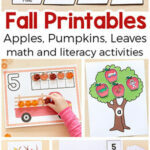 My kids really enjoyed these fall alphabet activities, this number matching fall tree and this fall play dough activity. 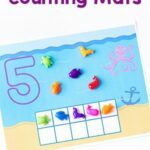 My son really enjoys counting mats like this ocean play dough mat, so I knew I wanted to make some for fall. I knew they would be a fantastic addition to our math centers! 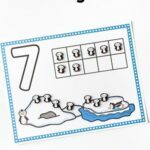 My son worked on the numbers 10-20 and my daughter used them for 1-5. She mostly just plays with them and add leaves to the trees. Which is totally fine with me! I will definitely save them for her to use later on too. Print the mats on cardstock for durability. 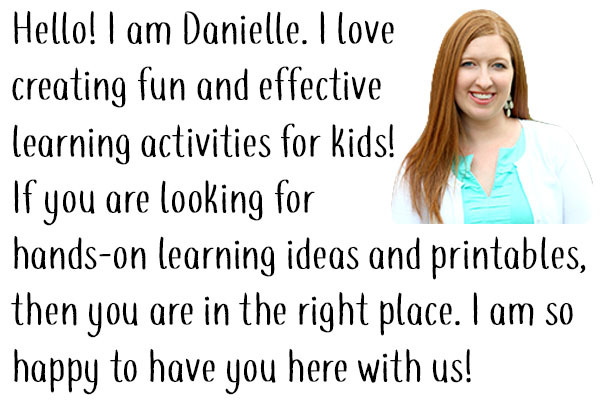 Laminate or place in dry-erase sleeves. These are pretty self-explanatory. 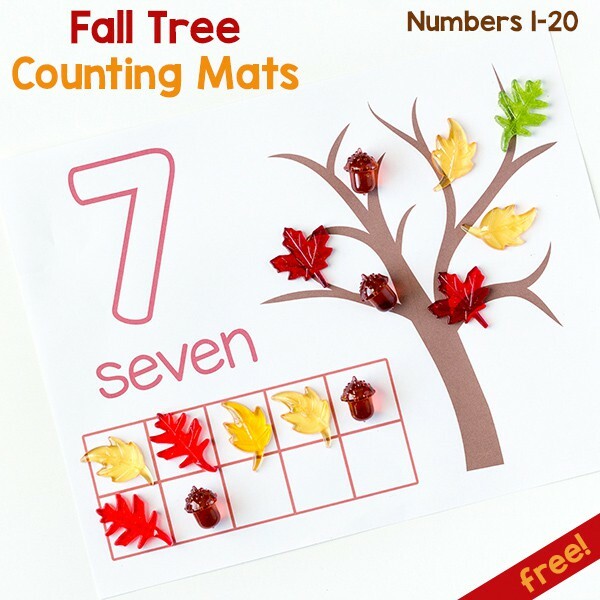 Kids will add leaves to the ten frames and to the tree to match the number on the mat. 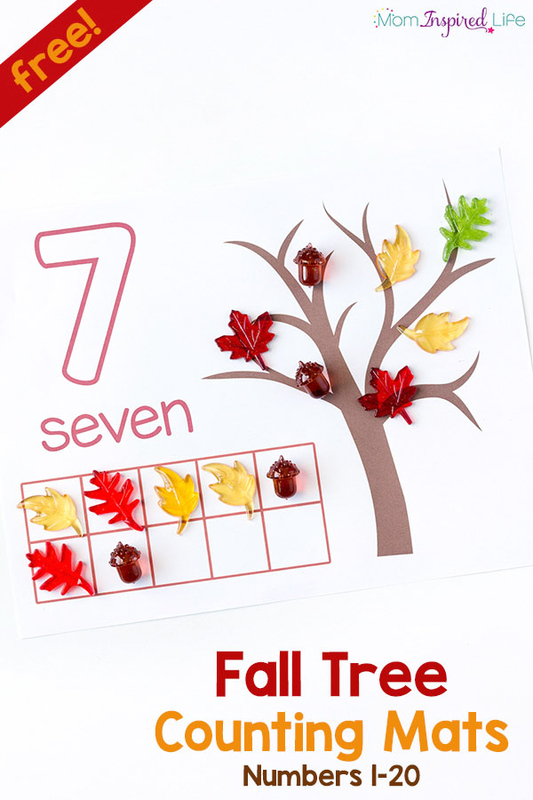 For example, for the number 7 mat kids would put 7 leaves in the ten frame and 7 leaves on the tree. The tree gets pretty crowded when you get to the higher numbers, but they do still fit on there. This was perfect for my son. 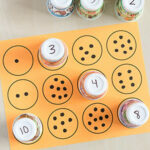 He had been struggling with counting numbers 13-20, so this gave him the extra practice he needed. 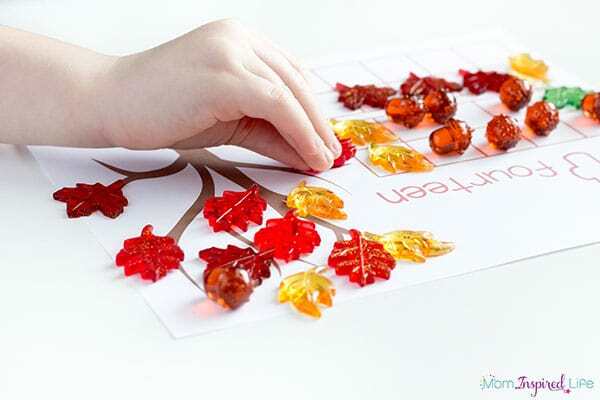 Each leaf added was a visual representation of the one to one correspondence that makes up the number. 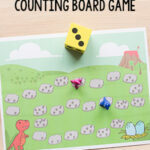 It was also a great way to work on counting to 5 with my three-year old (37 months). 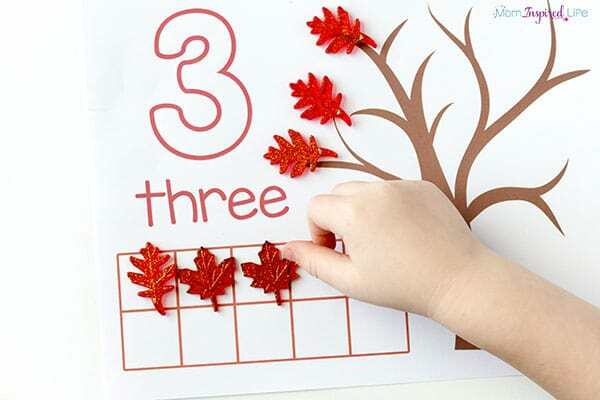 She is just learning to count higher than 3 so we are starting slow. I am also using it to introduce one to one correspondence to her. These will definitely be making lots of appearances in our math center this year! Here are some more fall activities I think you will like!